Happy Wednesday ladies! We are almost halfway through the week and closer to another Clemson football home game weekend. Today we wanted to introduce you to an adorable Etsy shop - Nostalgic Graphic Tees. Nostalgic Graphic Tees creates comfortable, unique, timeless, and age appropriate tees for kids. These bright colored shirts feature classic silk screened images and are high quality (so they'll last through many, many washes). The store was started by owner Elizabeth after she was inpsired by her own childred. Seeing her children grow and develop their imaginations made her feel nostalgic of some of her own childhood memories. 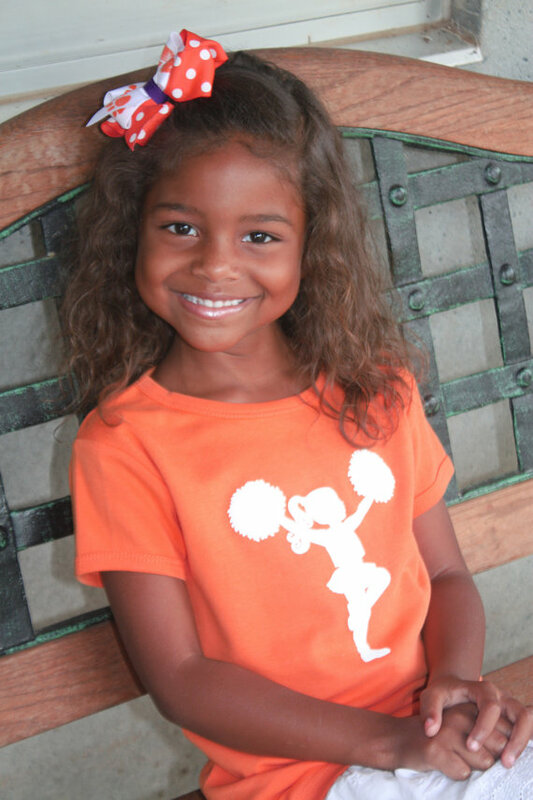 Nostalgic Graphic Tees carries an adorable cheerleader design that would be perfect for your Little Clemson Girls to show their spirit. 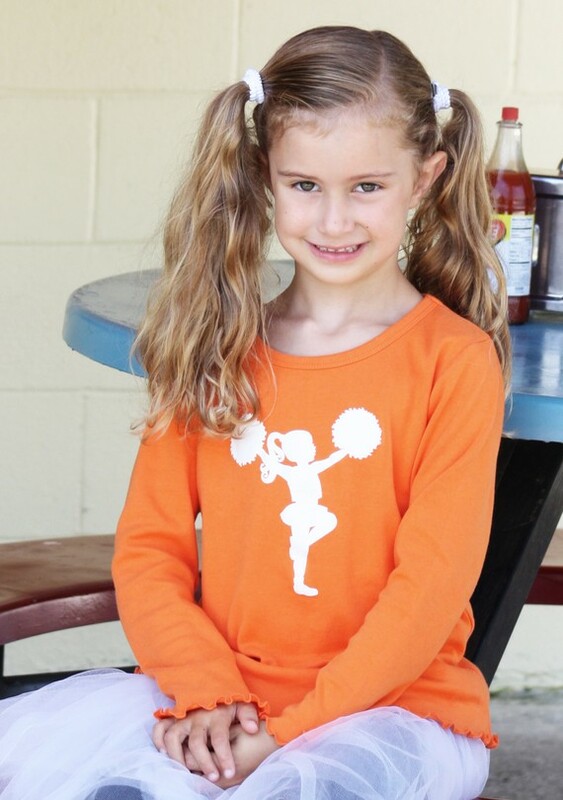 How adorable would this short sleeved, orange cheerleader t-shirt be paired with a purple skirt (or tutu!?!)? You can also get this design in a long-sleeved tee version. Check out the adorable ruffles on the hem and sleeve ends. Super cute! These tees would be great gifts! Good news...through October 15, you can get FREE SHIPPING with Nostalgic Graphic Tees by using coupon code CLEMSON12. Check out Nostalgic Graphic Tees on Facebook and stay up to date on their latest and greatest designs. Do you have a favorite, comfy go-to t-shirt? We think one of these Nostalgic Graphic Tees shirts could possibly end up being your Little Clemson Girl's favorite shirt.